The principles of endurance training are straightforward. I’ll discuss running since that’s what I know best. I’ve been training for distance events since 1977. Until 2012, I was in a carbohydrate adapted state, so I’ll go over how that works, then explain what may change if you shift to ketone adaptation. On another page, I’ll talk about ultramarathon training–preparing for runs longer than the marathon. If you’re carb-adapted, a marathon is a good test of whether you can train up your endurance to cover 26 miles before your body runs out of something important, like glycogen, the storage form of glucose. Most people without overriding health issues should be able to train up to that level. That says nothing about how long it takes you to cover the 26 miles. People of differing ages and abilities will take more or less time. The basic principle of any physical training is stress/recovery/adaptation. Stress your body, then give it a chance to recover. Your muscles adapt by improving their capacity to handle the stress until you approach your biological limits. I trained for my first marathon using a plan based on three good stress runs per week, with short recovery runs on the other days. That’s still a good approach. Those stress runs were two medium length pace runs, or a pace run and a speed training session, plus a weekly long run, the cornerstone of developing your body’s endurance capacity. I found my diet changed. I actually started to like salads sometimes. I learned I had to be careful what I ate an hour or so before an afternoon training run. In particular, anything sugary could result in a sugar crash (a “bonk”) about 45 minutes into the run. In the morning, I didn’t eat anything before I ran, especially if I was planning to run hard. So how does your body fuel your working muscles, to say nothing of your other organ systems and your brain? I looked around on the Internet for a simple schematic diagram that shows the basic concepts without the complicated biochemical details. I came across this at Elmhurst and modified it. It doesn’t appear to be copyrighted. Thanks, Elmhurst Chemistry Department! Your cells use the molecule Adenosine TriPhosphate (ATP) to carry energy around, sort of like the electrical grid carries electrons to power the machines in your house. Muscle cells need ATP to contract, breaking a phosphate bond to make Adenosine DiPhosphate (ADP) and using the energy released. ATP is produced in two ways. First, in glycolysis, the sugar glucose is split into two molecules of pyruvic acid, giving you two ATP. The second, much more significant ATP source is the Citric Acid Cycle (CAC), also known as the Krebs Cycle. That produces 34 ATP. The CAC needs oxygen–it’s “aerobic.” It happens in the mitochondria of the cells. Glycolysis can happen without oxygen, very quickly in other parts of the cell. Intense anaerobic effort, like a sprint, splits a lot of glucose fast. The pyruvate molecules are converted into the infamous “lactic acid.” That can build up in a sprint, but not in a lower, more aerobic effort like a marathon. The spurious research regarding lactic acid buildup was actually based on studies of frog legs in the 1920s without the rest of the frog, like the lungs and a functional circulatory system, attached. Notice you can feed the CAC with glucose, fats, or proteins. Turns out that most of the energy for a long run comes from fats, not glucose or proteins. Proteins aren’t normally used much unless you’re in a starvation condition. Trained endurance athletes have fat globules stored in their muscles. The cornerstone of endurance training is teaching your muscle cells to be better at using fats to provide energy for your working muscles. I first learned about the fat globules from a lecture I attended given by the famous exercise physiologist Dave Costill. He said a good rule of thumb was that for the first 40 minutes of running, your body tended to use more glucose. Then once it decides you’re serious about continuing forward, it shifts to more of a mixture of glucose and fatty acid metabolism. In other words, longer runs, in particular that weekly long run, which should be at least a couple of hours once you get the hang of it, are the key to teaching your muscles to build more mitochondria, store more fat, and shift enzyme systems to use the fat. Intensity in other runs is important too, pushing your anaerobic threshold upwards toward whatever you personal limit may be, since you get more ATP from aerobic metabolism. If you are used to eating a high carbohydrate diet, your body stores a small buffer of glucose as glycogen, along with several pounds of water. Make no mistake, all animals store practically all energy as fat. Fat has 9 calories worth of energy per gram, sugar (carbs) and protein 4. Even a very lean athlete has several pounds of fat, many thousands of calories worth, versus 2000 calories worth of glycogen. If you’ve trained up properly so that you’re using as much fat as possible, you should be able to complete a marathon, or anything shorter, before you run out of glycogen. The dreaded “wall,” “bonk,” or “sugar crash” (my preferred term) is what happens when a carb-adapted person’s nervous system runs low on glucose. It’s not your muscles. I’ve run through many sugar crashes. It was hard to concentrate, I felt weak and woozy. Not fun. I could still run, albeit a bit slower. That never happened to me in an actual marathon or shorter race situation because I trained properly. I started running marathons before gels and other sugary performance food and drink were invented. In recent years, the folks who make and market those products would have you believe those are a good idea for shorter events. I disagree, for several reasons. If you’re training for a marathon or shorter distance, consuming sugars before a run can cause a sugar crash, something I’ve experienced quite a few times if I wasn’t careful with my timing in my sugar-consuming days. The sugar glucose, which is what most performance fuels digest into, elevates your insulin, signaling your body to use the glucose preferentially, and to store any excess calories, regardless of source (sugar, fat, protein) as fat. 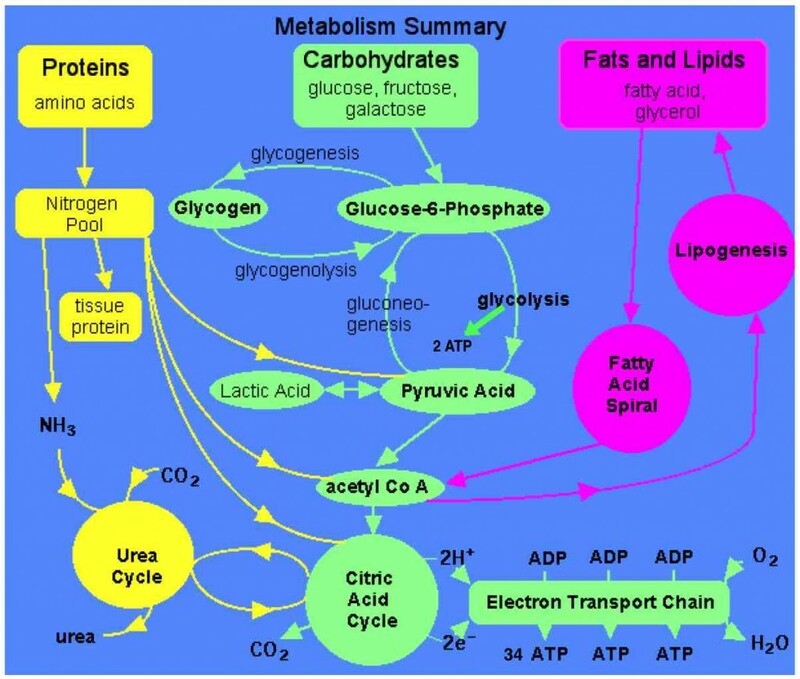 That runs counter to teaching your body to be better at fatty acid metabolism. Lastly, if you’re attempting a maximum effort, it’s physically impossible to run your hardest with something in your stomach. Your body doesn’t have enough blood to run your working muscles, your skin (cooling system), and your digestive tract simultaneously. Your body tends to restrict blood to the digestive tract and you tend to get a stomach ache or worse. 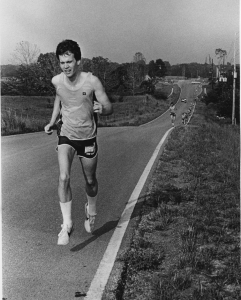 I will say that I ran one marathon shortly after doing my first 100 mile run with inadequate endurance training to complete the marathon. I was pacing a friend on the University of Arizona women’s distance squad as she attempted her first marathon. Since her target time was significantly slower than my marathon race pace at the time, my digestive tract could work and I used ultramarathon techniques (sugar…) to complete the run in 3:07. I should mention my friend’s time was 21 minutes faster than my first successful marathon a few years previous. If you become keto-adapted, some of this will get easier, even if you’re training for the marathon and shorter runs. You won’t worry about sugar crashes, although everyone can get tired eventually. You won’t get any faster, unless you aren’t training to your potential as a carb-adapted runner, particularly if you’re using sugar in short runs. You will find training and racing works better–improved endurance and recovery. The researchers Drs. Jeff Volek and Steve Phinney studied carb and keto-adapted runners on the treadmill for three hours. Carb-adapted, well-trained runners started out using more than 50% carbohydrate for fuel, dropping to near 45% over time. The keto-adapted runners started out using over 85% fats, dipping to under 10%, then rising slightly to around 12% after three hours. Other work they’ve done and the experiences of the keto-adapted runners in the Tucson Trail Run Series shows that recovery after training and racing is better. These are some basics that apply to any runner’s training. What if you want to attempt the “ultramarathon?” Here are a few thoughts on that.